Last week a number of thought leaders–Margaret Middleton, Nina Simon, and Seema Rao–commented on an extraordinary piece that appeared in The Phoenix New Times. Titled “Nightmare at the Phoenix Art Museum: Docents are Fleeing, Donors Drying Up,” it details a confrontation between longtime docents and a museum director. Leaving aside the article’s gossipy style, it lays bare a whole host of issues about the 21st-century museum without really meaning to. It’s a long article which you can find by clicking on The Phoenix New Times above. And just so you know, like many counterculture newspapers, the New Times began on a college campus in the wake of the Kent State tragedy. More recently it’s had notable and ongoing issues–including the arrest of its editors–resulting from its coverage of Sheriff Joseph Arpaio, the Maricopa County sheriff recently pardoned by President Trump. But back to the Phoenix Art Museum. In case you don’t have the patience to read a multi-page article about another museum’s woes, here are the highlights: Amada Cruz became director of the Phoenix Art Museum in 2014, replacing a longtime male director; the article also alleges that more than 100 of the docent staff have been fired or left, angered by the museum’s change in direction. The article suggests more than a dozen employees resigned as well as a result of Cruz’s leadership. And before we go any further–some disclaimers. This is one article. We have no inside knowledge, nor do we pretend to, nor, might we add, are there multiple articles on this story. That said, if we get out of the weeds of she said, she said, what can we learn? First, Phoenix Art Museum is a perfect example of an organization hit hard by the 2008 recession that offered its directorship to a woman. This is not a bad thing. Women directors are scarce in the rarified air of budgets over $10 million. However, studies show that across the for-profit and the non-profit world, women are more likely to lead in times of crisis. Why? Is that the moment when boards of trustees believe a woman’s combination of soft skills and collaboration may actually be useful? Perhaps. Second, change is hard, and succeeding a longtime executive director is harder. (Phoenix Art Museum’s former director held the position for 32 years.) Unlike schools, some colleges, and many churches, few museums appoint interim directors to serve while the board, staff and volunteers grieve and get over the outgoing leader. And yet, boards and senior staff often forget how much change affects all staff, even volunteers. Third, change at the top often brings staff turnover throughout an institution. Any time an executive director leaves, there’s reshuffling. Sometimes staff leaves with the outgoing director. Sometimes senior staff stay because of the director, but ultimately find her impending absence a motivator to find new positions, too. And sometimes the chemistry with the new director just isn’t there, and staff, especially senior staff who have a lot of contact with the ED, jump ship. Last, volunteers are people. They may be treated like wallpaper in a large organization, but a highly-trained, well-organized volunteer corps is staff. They represent the organization on a day-to-day basis in front of the public. Whether it’s true or not, one of the things that comes across in the Phoenix Art Museum story is how ambushed the volunteers felt. Is it possible that a lack of transparency and poor or absent communication left them feeling as though their years of training and knowledge wasn’t applicable any more? If there was going to be a shift in emphasis from say the sage-on-the-stage approach to a more Museum-Hack-collaborative-method of gallery interpretation shouldn’t the volunteers have participated in the change? They are, after all, members not only of the workforce, but donors of time, and in many cases money, and a voice to be reckoned with. That doesn’t mean they call the shots, but inclusion means inclusion. Communication. Communication. Communication. And remember, communication also includes listening. A lot of listening. And that may mean listening to people who are hugely upset and distressed. Channel your inner Heath Brother and “paint the destination postcard,” because change is easier when you know where you’re going. Prepare for change. Work with your staff to understand bias and how it intertwines and impacts change and leadership. Prepare a succession plan. According to AAM only 14-percent of AAM-accredited museums and 8-percent of non-AAM accredited museums have one. If you plan for natural disasters, you ought to plan for leadership transition. If you are a woman leader you probably already know you will be judged differently in your practice of leadership than a man. Know how that practice plays out. Although I hate the idea of March being the only month when women are the lead topic, it is an opportunity, so here goes. First, I want to acknowledge the hard work of my colleagues at GEMM (the Gender Equity in Museums Movement) in publishing its second white paper, Museums as a Pink Collar Profession. GEMM’s paper poses some complex questions about our field. Among other things, it asks whether our long struggle with poor pay has its roots in issues of deep-seated bias, in many cases, benevolent bias. And, it asks whether that bias produced today’s workforce. I suspect the answer is yes. In 1973 when the Women’s Caucus organized for the first time at AAM’s Annual Meeting, most of its participants were white. Today, some might identify as LGBTQ, but not then. Being out at work wasn’t always safe in 1973. The Caucus’s goals were simple and to be honest not dissimilar from GEMM’s today—support museum women, see them in positions of leadership, close the pay gap, work for decent benefits including maternity leave. Although I can’t peer into the Caucus’s heads at a distance of 45 years, I’m pretty sure they weren’t thinking about women of color when they made their pitch to AAM. It may be due to the abysmal numbers of women of color in the field in 1973. It may also be due to the world they lived in and the baggage they carried. But they opened the door. They created a platform where the rest of us–white women, women of color, the LGBTQ community, and those with disabilities–stand advocating for workplace equity. But to return to the white paper: Today, after 46 years, the museum world’s workforce is almost equally balanced for gender. Hooray. 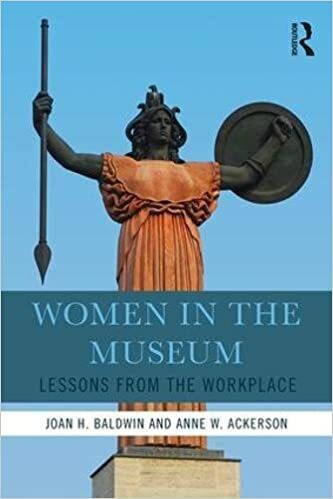 According to the Bureau of Labor Statistics (BLS), in 2018 women comprised 49.5-percent of museum workers . That’s the good news. The bad news is it’s still a very white profession. 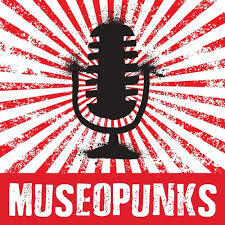 Overall, the BLS tells us, 10.5-percent of museum workers are black, and 13.8-percent Latinx, neither approaching the national averages of 13.4-percent and 18-percent respectively, particularly since too often people of color serve museums in positions where they have responsibility but not authority. Pause for a minute, and think about how decades of poor pay affects museum workers. According to the BLS, in 2017 a museum worker’s median pay was $48,000/yr. That is significantly below the average American’s 2017 median income of $59,039. And it’s likely not the first time it’s happened since 1973. Are there consequences for decades of low pay? Yes. One result is the field’s long slow slide toward becoming a pink collar profession. Another may be that engaged, smart, creative folks leave when they realize that after taxes, graduate school loans, rent, and childcare there isn’t much left. What does that mean for the workforce? Clearly it affects diversity: You need to be privileged, whether by birth, marriage or both to invest in graduate school and then accept salaries and benefits of less-than. Poor pay puts a strain on workers. It also keeps people in the field too long. Many must continue working to make retirement more than an exercise in how not to finish life in poverty. Think I’m kidding? If you don’t make much, you don’t have much to put away. Then there is the gender pay gap. If the median salary for all museum workers in 2017 was $48K, then, accounting for the pay gap, for white women it was $36, 000. But the gender pay gap isn’t just about white women vs white men. It’s also about age, education, and most importantly race, so the gap for Black women is 39-percent, for Latinx women 47-percent. There is plenty to say about the museum workplace that isn’t about gender. And there’s plenty to say about gender that’s true for women everywhere, not just museum land. The gender gap exists everywhere. Statistics show women value job flexibility more than men, perhaps because women are still the primary care givers, whether for children or elderly family members. As a result they often accept lower pay rates in exchange for increased flexibility at work. Has this struggle for enough time–time to have a child, time to raise a child, or time to care for a sick family member–artificially depressed wages? And given our money-conscious society, do the museum world’s low wages devalue our profession? So what are we left with? We have a workplace perilously close to majority female overall, and already dominant female in many positions, and we know, beyond a shadow of a doubt, that occupations with more women pay less. We have a workplace created, benignly, benevolently in some cases, with a minefield of road blocks. The entrance ticket is a graduate degree. Once in the door, you discover a world where salaries are often confidential, with employees unaware that others in similar roles might receive far higher pay. You may suspect there’s a gender pay gap at your institution, but have no way to find out. You may uncover a world of staff offices and meeting rooms that are far more traditional, hierarchical, and patriarchal than you anticipated or could have imagined. You may find yourself sweetly, kindly, mansplained through staff meetings or told not to make a fuss if you experience bias because of your race or your gender or both. Can the field change? We’d like to think so. Be knowledgeable about museum salaries: Read Museums as a Pink Collar Profession. Know what it costs to live in your area, Use the AAM salary survey and know what others in your position make. Read your organization’s HR/personnel policy. Know what it means to you if you want to go back to school, become a parent, or need to care for an elderly relative. Know what to do if you’re harassed at work. Will you be supported? Do an equity salary audit. Look for inequities based on age, race, gender and power. Think about the relationship between the executive director’s salary and the lowest FT staff member. Solve these equity issues first. Raises are meaningless if they perpetuate the pay gap. Create a value statement about how your museum or heritage organization expects its employees to behave. Stand behind it. Review your HR/personnel policy. Does it reflect your whole staff or just some of them? Stand up for your staff. And if you’re the organization that pays equitable wages, say so. How different would that be in a job advertisement? Let’s not wait another 11 months to talk about women’s issues in the museum workplace. They’re here, they’re now. Nowhere are they more obvious than the paycheck, which is tangible proof of bias and inequity. Let’s change that. Everybody knows leaders need vision. Perhaps you’ve had the pleasure of working for someone with vision. If you have, treasure it because to understand what vision means, you have to experience not having it. You might not even realize its absence at first. After all, you’re caught up in your job–you’re designing, you’re putting clever images on Instagram, you’re unearthing things in the collection that haven’t seen the light of day in decades and getting them to talk to one another. And then suddenly you run into a wall. It could be your board, who gives you the old we-really-don’t-do-things-that-way run around. Or it could be your executive director, who looks at you like she has no earthly idea what you’re talking about, when she asks how science, work by an artist of color and rare books will mesh in the gallery. To paraphrase a line from Cool Hand Luke, a lack of vision is a failure to communicate. Last fall while teaching in the Johns Hopkins Museum Studies program, Anne Ackerson and I received comments from some of our students who felt we were too picky when it comes to the written word. Our response? You’re going into the museum field! So much will depend on how you communicate. If your institutional vision exists only in your head and only when you’re alone, that bodes trouble. Vision can’t be like singing in the shower. It’s got to be shared. As a leader, you are the listener, the synthesizer. You’re the one who’s out in the community, taking a current need and linking it to your organizational narrative, to artistic process, to your mission. You’re the one making connections. But once you’ve done that, it’s your job to make folks understand where your brain went, why it matters, and how following that path might engage your community. Clearly. And concisely. Persuading people–whether trustees, staff, or volunteers–to understand the Venn diagram that’s in your head and why it matters is a key ingredient of leadership. This week I was reminded how important vision is when I was asked for funding priorities for a potential donor. It’s always nice to think someone might give you money, but making sure your thoughts don’t sound like a scrambled word cloud is important. Here’s where the Venn diagram has to translate to someone outside your bubble. Does your shopping list of wants link to the larger organizational mission? If not, why not? Is that mission clear, concise and beautifully expressed? Would it make you intrigued even if you weren’t the executive director or a member of the leadership team? Or does saying it out loud make you weary because you know it’s going to involve explanations, counter explanations and side bars? Vision doesn’t need a lot of flowery language. It needs clarity. Your listeners need to see what you’re saying. Then they’ll want to follow, participate, and give. And that’s the point isn’t it? A clear and well-thought out explanation of benevolent sexism from The Muse. For those of you who identify as female and are over 50 or who lead women over 50, and interesting discussion of invisibility vs. finding a new voice. Last and maybe most important especially for those who live in the northeast, a heat map of political prejudice by county. When someone asks what you do, what do you say? If you’re a curator, an education curator, a digital curator or museum director how do you explain your job to your great aunt or that family friend whose children are surgeons and investment bankers? And having explained your work life in two sentences and gotten a look of pure puzzlement, do you know what you actually do? By that I mean, do you have any sense of what you accomplish in a given day, week or month? My colleague Anne Ackerson does. She has an accomplishment jar on her desk. Every time she completes a project or does something worthwhile, she drops a piece of paper in the jar with a note about the accomplishment. On New Year’s day, she re-reads her year through the lens of jobs well done. I am not so organized, but I work for a large organization that requires weekly reports, bi-annual check-ins, and annual performance reviews. But even with all that reporting take it from me: It’s possible to think about your job only in generalities or worse–and this is very, very gendered–to see it only in terms of what you haven’t accomplished. The result? It’s easy to lose sight of what you’ve achieved. Why is this important? First, seeing progress is a morale boost. At the end of a bad week, it can seem as though the needle never moved, and you accomplished nothing. And that same week can feel so long that activities completed Monday may have disappeared in a fog of what went wrong by Friday. Plus, how often have we talked about leadership and self-awareness in these posts? A lot. And what is an accomplishment review except an acknowledgement of your strengths? In 2011 two Harvard Business Review researchers, Theresa Amabile and Steven Kramer, looked at how the for-profit world drives innovation. Focused on individuals on the creative side of things, they asked 238 individuals at 26 different companies to answer a daily email about their workday ups and downs. Data from 12,000 emails yielded some important conclusions. First, workers are more creative when they’re happy, and that happiness spills over to colleagues and to the organization itself. Second, they discovered that many of their subjects’ “best days” directly correlated with days when there was perceptible progress on a given project by them or their team. 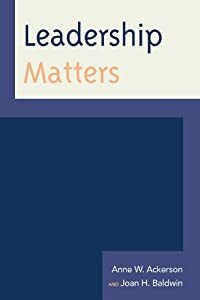 It’s tempting to conclude that happiness comes with the conclusion of a project–the moment when Anne drops the paper in her Accomplishment Jar–but that’s not what Amabile and Kramer’s work showed. In their study, it was the small wins, the daily movement of the needle that brought happiness. Understanding and charting those small wins over time is important in understanding our own sense of accomplishment. What can you as an individual do? Make a chart: Divide your work life into its major headings–collections care, team management, professional development, and list the things you’ve done each week, month or year. Or just use a jar. But be sure to remember to empty it and read the contents. Progress and a sense of accomplishment are intimately linked to creativity. Do you have a job where you check your brain at the door? Then look for ways to raise the creativity quotient. Chart your accomplishments in your off hours–miles run, words written, volunteer hours logged. And if you’re a leader? Check-in on your employees, don’t check-up. Look for what’s holding them back, and see how you can help. Remember that leaders remove barriers. Be a resource not a sheriff. See work as iterative. We learn, we accomplish, we get better at what we do. Don’t make one-on-one meetings a laundry list of work yet to be done. Remember this equation: meaningful work+clear and reasonable goals=workplace happiness=creativity= meaningful work.